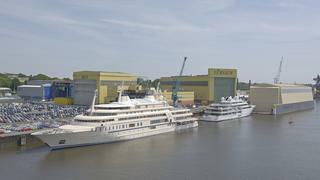 AL SAID is a Loading... luxury yacht, built by Lurssen and delivered in 2008. Her top speed is 25.0kn and her power comes from a MTU diesel engine. She can accommodate up to 70 people with 200 crew members. She was designed by Espen Oeino, and the interior design was created by Jonathan Quinn Barnett. AL SAID is the 7th longest yacht in the world.